For specialty food start-ups, the Winter Fancy Food Show is the place to see and be seen. Over 1,300 vendors will be showcasing more than 18,000 specialty foods at the Moscone Center from January 20-22, 2013. 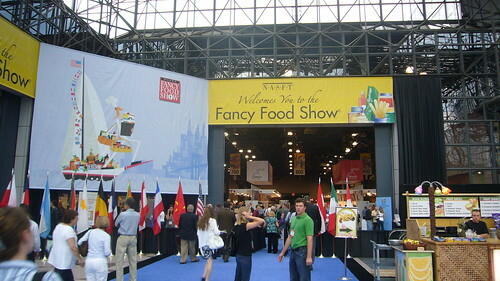 Have you heard about the winter and summer Fancy Food Shows? These events bring hundreds of industry stakeholders together to exhibit and discover innovative food products. 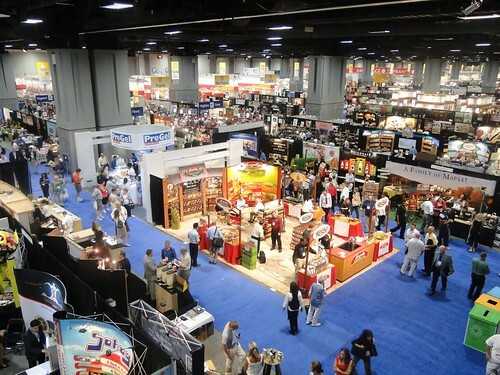 Unfortunately, these trade shows are not open to the public and are limited to professionals who are affiliated with the specialty food industry. Eligible attendees include retailers, restaurateurs, distributors and other industry professionals. This is a fantastic opportunity for new food entrepreneurs to immerse themselves in the industry and scope out the competition. Event tickets are still going for just $45.00! Prices increase after January 18, 2013. Foodies and Newbies! If you’re not a registered food professional yet, we have another recommendation for getting in to see the show. A quick search on Craigslist (under the Gigs section) shows that quite a few vendors are still looking for on-site help during the show. If you are hired on you will probably be pretty busy but perhaps can snoop around during lunch breaks? In addition to all the free samples and products you’ll be introduced to, the Fancy Food Show has also brought together many knowledgeable industry professionals via their Education Program. For an additional fee, you can sit in on short classes that cover everything from key industry lingo to social media/branding to creative gift basket packaging. If you’re a bit further down the road in building your food business, I urge you to consider exhibiting at these events. While competition is stiff, the exposure is huge! Being an exhibitor helps you to test your sales chops and branding in the real-world. You’ll make industry connections and get advice from the best. Make sure you are well-prepared with marketing materials, a great website, loads of samples/handouts, necessary business permits and helping hands so you make the most of your investment. Are you planning on attending this year’s event? Or have you exhibited/attended other industry events? Please share your stories with us!